As predicted, total North American comics shop orders for 2013 from January through November matched the amount ordered for all of 2012, according to figures released today by Diamond Comic Distributors. The release was later than usual, owing perhaps to the late-falling Thanksgiving holiday: but it was that Black Friday week that sales likely topped the 2012 total. Retailers ordered more than $42 million in comics products in November, bringing the year-to-date total to more than $475 million. 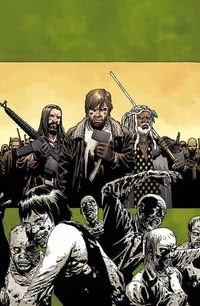 The November amount was 3% more than was ordered in November 2012, the margin due entirely to graphic novel sales, led by Walking Dead Vol. 19. 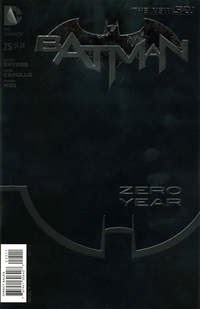 This October was a big month in the Direct Market: it was the first time since Diamond became the exclusive distributor for all the major publishers that orders for comic books and trade paperbacks topped $50 million in a month. There was no topping that five-week month in four-week November, with sales off 16% from month to month; but we saw the same dropoff last November. We can now project that overall Direct Market orders for the year are likely to land at the lower end of the range estimated last month: likely between $514-516 million. A double-digit gain for the year would require December to be up nearly 17%; odds instead are that the market will just miss that, coming in up 8-9% for the year. The final estimates will be along next week.